Living a Fit and Full Life: New Christian Kids Books to Love Just Released from Zondervan! 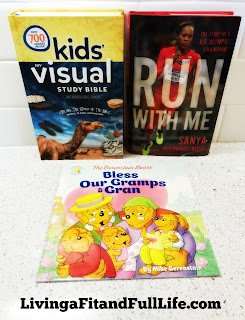 New Christian Kids Books to Love Just Released from Zondervan! NIV Kids' Visual Study Bible by Zondervan is perfect for kids! My kids absolutely love the full color design and I find that they retain much more knowledge thanks to the photographs, illustrations, infographics, and maps throughout. 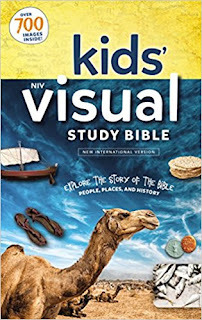 The NIV Kids’ Visual Study Bible is great for ages 8–12 and I love the beautiful glossy cover. I also love the important facts located near the relevant verses. This Study Bible makes learning about the Bible fun. The NIV Kids’ Visual Study Bible is a Bible kids will want to explore and my family and I highly recommend it! You can find NIV Kids' Visual Study Bible by Zondervan on Amazon, Barnes and Noble and other bookstores. Run with Me: The Story of a U.S. Olympic Champion by Sanya Richards-Ross is an amazing book for kids age 8-12! 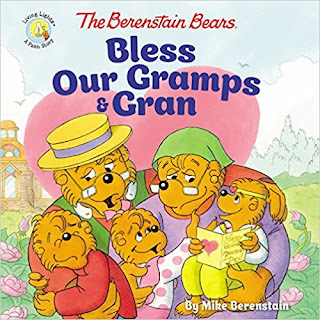 My daughter is 9 and absolutely loves this book. I'm a runner so my kids also have a love for running which is why this book is perfect for my family. I absolutely love that Sonya shares the importance of determination, courage and faith in this book. Sonya is a wonderful role model for runners around the world and I love that she reveals strategies that have helped her and will help kids learn how to run their best race in life. Run with Me is Sanya’s story of her wins and her losses as well as chronicling her unique triumphs and trials with fame, family and faith. Run with Me: The Story of a U.S. Olympic Champion by Sanya Richards-Ross is a wonderful book to encourage kids to go after their dreams! 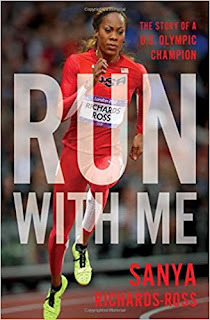 You can find Run with Me: The Story of a U.S. Olympic Champion by Sanya Richards-Ross on Amazon, Barnes and Noble and other bookstores.